Why convert Coal to Liquids and Gas to Liquids ? Gas to Liquids (GTL) converts natural gas into hydrocarbons. The GTL process can be used by refining companies to convert gaseous waste products (flare gas) into valuable fuel oils (as it stands or further refined by blending with diesel fuel). Another common use for GTL process is the economic extraction of gas deposit in locations where it is not economical to build a pipeline. The GTL technology enables the production of clean-burning diesel fuel, liquid petroleum gas and naphtha from Natural Gas, which is one of the cleanest and most abundant energy sources on earth. Liquefied Natural Gas is easier to transport. The GTL process enables to transform natural gas into superclean diesel fuel. Other typical uses are aviation fuel, oils for advanced lubricants, naphtha used to make plastics and paraffin for detergents. Converting Coal to a Liquid fuel (CTL) allows coal to be utilized as an alternative to oil. CTL is particularly suited for countries that rely heavily on oil imports and that have large domestic reserves of coal. Which equipment for this application ? 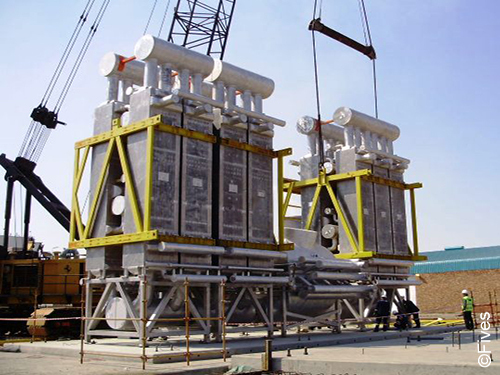 Brazed heat exchangers and cryogenic pumps developed by Fives are used worldwide in GTL production plants and in large-size CTL production plants. 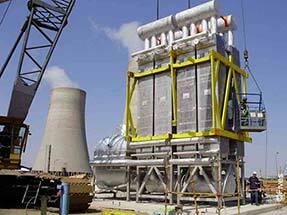 Brazed heat exchangers can be connected together to form an assembly or multiple assemblies, without limit. 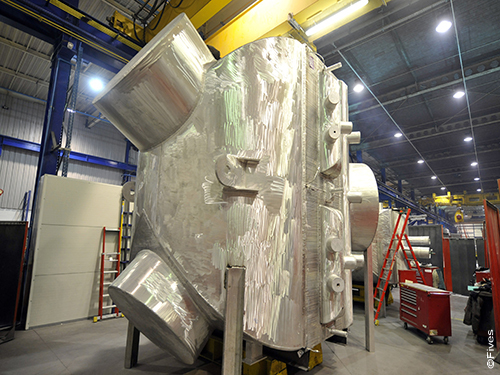 In its industrial production sites in France, China and Switzerland, Fives produces ultimate performance heat exchangers and cryogenic pumps from raw materials to the finished product (brazed, assembled and tested) for final delivery and installation. 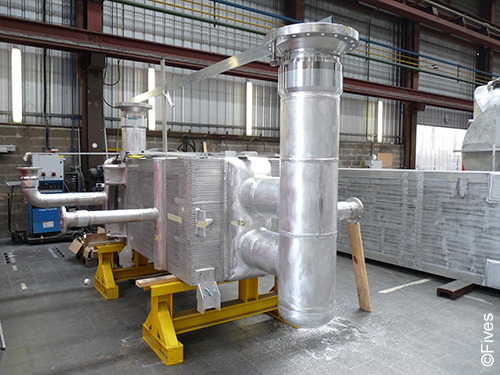 As clients are looking to build larger and larger plants, Fives offers individual brazed heat exchangers produced in its French or Chinese facility for large size assemblies. These products can be assembled at the facility in China, which has a direct access to the sea. 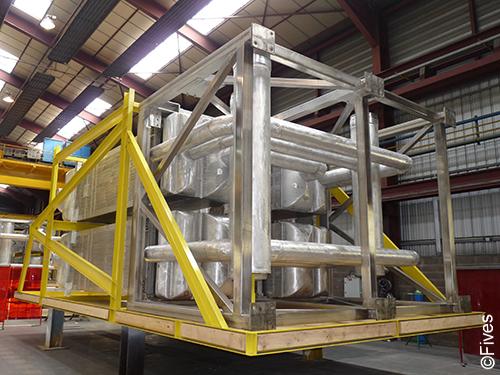 Assemblies with a cross-section of 10 meters wide and 10 meters high can be shipped worldwide.